Why join the El Dorado Hills Chamber of Commerce? Many businesses and individuals join to gain access to the various chamber events which help them build their businesses and network with fellow members. Others join for public relations and marketing opportunities to increase their visibility in the community, and to ensure their local business has an advocate. What is the El Dorado Hills Chamber of Commerce? The El Dorado Hills Chamber of Commerce is a not-for-profit business organization 501(c)(6) which represents the business community of El Dorado Hills and surrounding areas and provides benefits and services to the membership. Note: The El Dorado Hills Chamber of Commerce is not a government agency. The El Dorado Hills Chamber of Commerce's goal is to further the business interests of the community and to advocate on behalf of the business community. 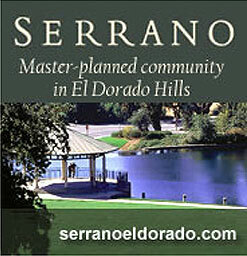 When does the El Dorado Hills Chamber of Commerce meet? To drive positive change for the El Dorado Hill's business environment and to improve our member business by providing leadership, advocacy, connectivity and support. How do I join the Chamber? Please fill out the membership application online or call a chamber representative at (916) 933-1335. Ready to Join the Chamber? Join online or call a chamber representative at (916) 933-1335.